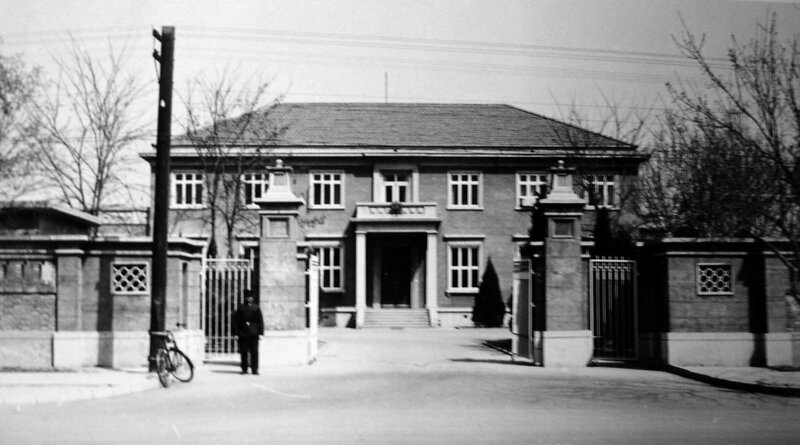 The 1943 treaty that ended extra-territoriality throughout China altered the terms on which the British occupied the old Liang compound by withdrawing all the rights it had acquired under the 1901 Boxer Protocol and related agreements. Continued British occupation of the compound was now clearly on sufferance, given that the treaty required the Chinese government to do no more than ‘accord … a continued right to use for official purposes the land which has been allocated … on parts of which are located buildings’ belonging to the British government. Within a month of the mission’s return in 1950, the Chinese demanded to have back the unoccupied military compound and Britain unconditionally acceded: the only practical effect was that new tennis courts had be built in the former civil area. Two years later, the Chinese demanded the return of the recreation ground, used for an athletics field and extensive stabling, and this was likewise surrendered. 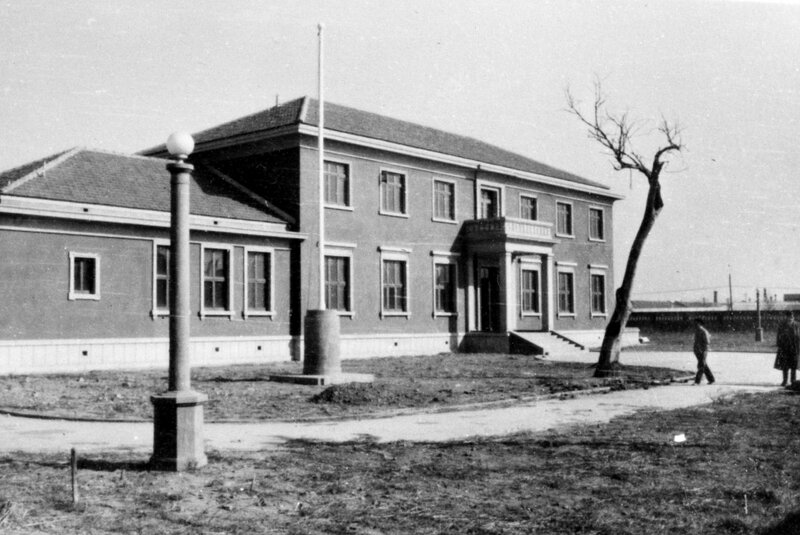 Later in 1953, the House and Property Control Bureau of the People’s Government of the Municipality asked the mission to complete a detailed questionnaire about the buildings on the remaining compound area. The mission politely obliged but jibbed at answering ‘such intimate statistics’ as details about the sizes of verandas and the material of which windows were made. In 1954, the mission was alerted to a proposal to build a large road across the compound and learned that its Russian embassy neighbour had plans to move which would leave the British as the only mission still in that part of the legation quarter. The embassy was anxious about how long it would be before it was finally evicted and directed to a new diplomatic enclave 2½ miles to the east, outside the city walls. Another five years was the answer. 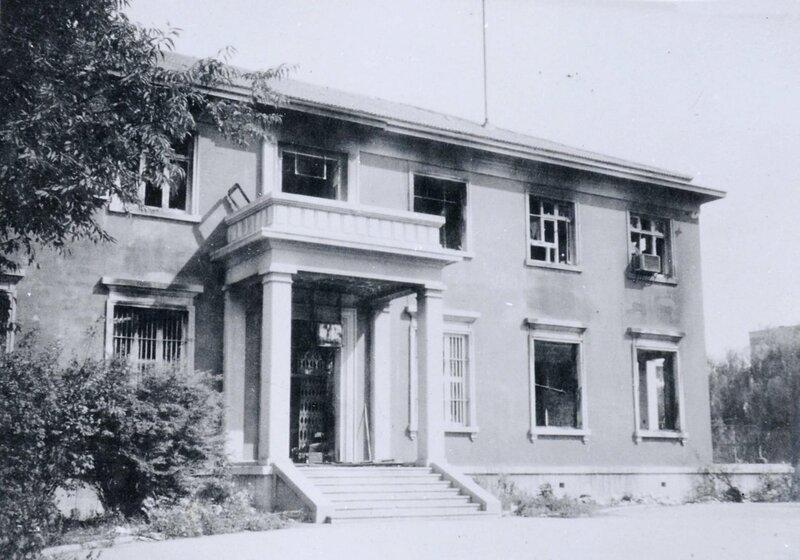 In January 1959, at the start of the 99th year of British occupation of the compound, a diplomatic note demanded that all of the premises be vacated by 31 May 1959. London quickly realised that Britain did not have a leg to stand on: it had no deeds, had not paid any rent for fifty years, had not registered the property when requested to do so in 1950, and had had plenty of warning. The most that could be salvaged would be the offer of acceptable alternative accommodation and compensation for the buildings in the compound that were erected at British expense over the years. In March, London sent Tom Champkins and C.G. Libby, respectively senior architect and estate surveyor in the Ministry of Works, to report on what they understood to be the temporary alternative accommodation that the Chinese, in the shape of the Diplomatic Service Agency, were offering. For offices and residence, these were two recently completed two-storey buildings on practically adjacent 1½ acre sites, at 11 and 15 Guang Hua Lu, Jian Guo Men Wai, opposite the Albanian and Finnish missions. The Chinese were prepared to undertake the necessary ingoing works. Much later, it transpired that these buildings were designed by a Chinese architect who had been trained in Liverpool on a British Council scholarship. For staff accommodation, Champkins and Libby were shown sufficient flats nearby, in newly-constructed blocks of three to eight storeys, designed and built by the Chinese. The flats were more or less acceptable as temporary occupation. After Champkins and Libby reported that the terms of the Chinese offer of alternative accommodation were broadly acceptable, it became a scramble to complete the ingoings at the new buildings, arrange the actual move and clear out of the old compound, all before the end of May. (Concurrently, too, the Chinese authorities were requisitioning the summer retreat at Peitaiho.) Much of the burden fell on Richard Scott, the Ministry of Works’ resident engineer in Peking. 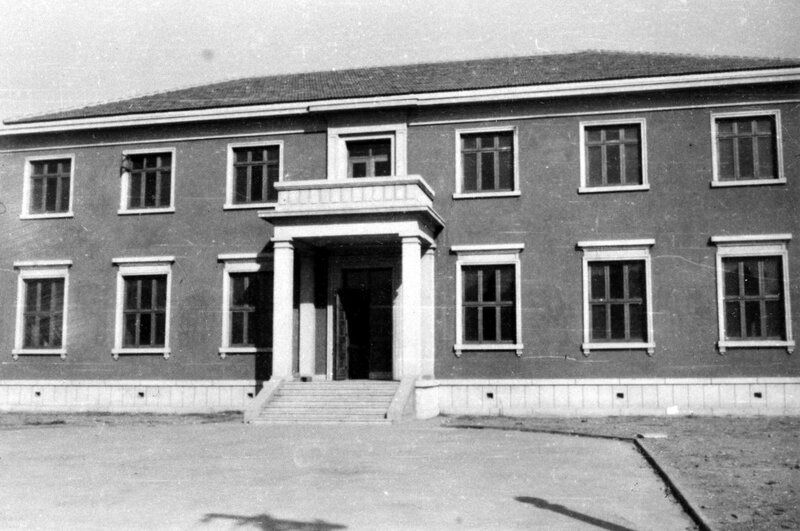 The end-May date slipped a few months, with Chinese agreement, but the new chancery was occupied on 8 September and the old compound vacated on 28 September 1959. Scott’s diary recorded about that day: ‘I handed over the British Compound to the Chinese Government at 10am. The Flag was hauled down by Wang (my head furniture coolie) and handed to me. I shook hands with Kuo at 11.15. FINISH. …’. The British government claimed £550,000 compensation based on the equivalent reinstatement of the buildings that it had lost on the old compound and the Chinese indicated as early as November 1959 its readiness to pay £250,000 based on their own assessment. The British, however, also wanted to link the compensation issue with an agreement on a future permanent site in Beijing, in pursuit of which Champkins and Libby had asked the Chinese to identify a site of about 12 acres. With the diplomatic enclave set out in blocks of two or three acres, the Chinese were shocked by the size of the apparent British requirement. They countered by demanding a comparable new site in London. The British saw the hopelessness of their case, accepted Chinese payment in local currency of £250,000 in mid-1961, and more or less accepted that their new accommodation was itself going to be pretty permanent. That same year the Chinese government bought 31 Portland Place as its embassy building in London. 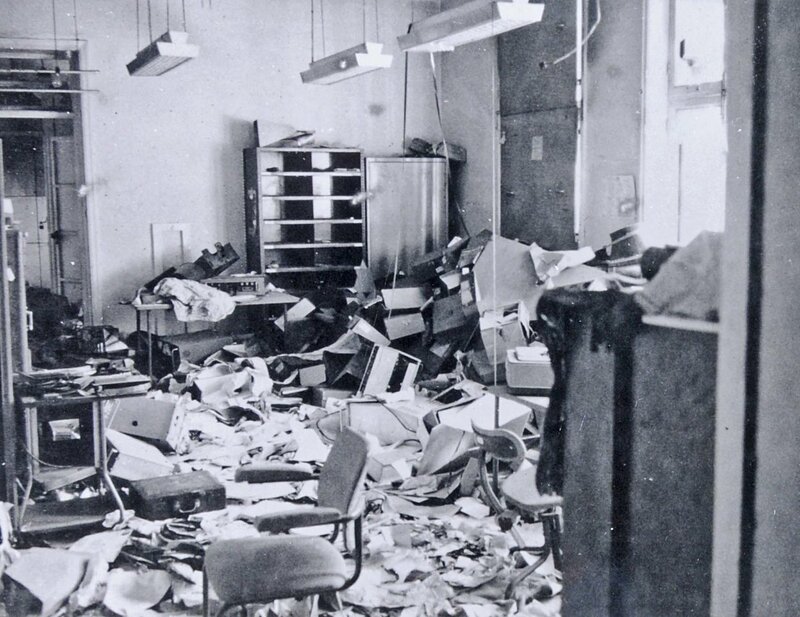 The Cultural Revolution in China began in 1966 but Britain did not come in for hostile attention until the following summer, when the mission office building was broken into and a portrait of the Queen damaged. Disputes, mainly connected with the political situation in Hong Kong, escalated during August 1967 and an ultimatum was due to expire in the late evening of 22 August. Staff went to the office that day prepared for a siege, and were noisily harangued all afternoon. The crowds outside grew as the evening wore on, and the 23 British staff realised they would probably be there all night and began burning classified papers. Fifteen minutes after the ultimatum expired, a furious attack began, and the staff retreated into an inner sanctum. But even this proved unsafe, and some staff eventually pushed their way out of the building, being manhandled and assaulted as they went. The building was set alight and, in the middle of the night, the remaining staff were rescued by police and army and taken to safety. 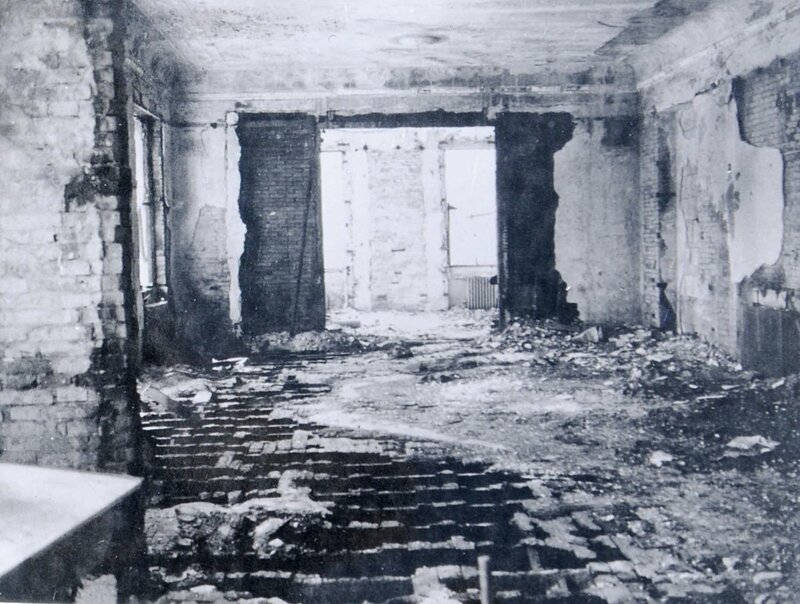 The building was a burnt-out shell by morning, and the residence was looted and empty. The police, however, had prevented the attackers from getting close to the apartment blocks. After a spell of operating out of a flat, the mission office re-opened on the first floor of the residence. For three years the office building stood black, scarred and empty. The Cultural Revolution was reined back by Mao at the end of the 1960s and bilateral relations improved. 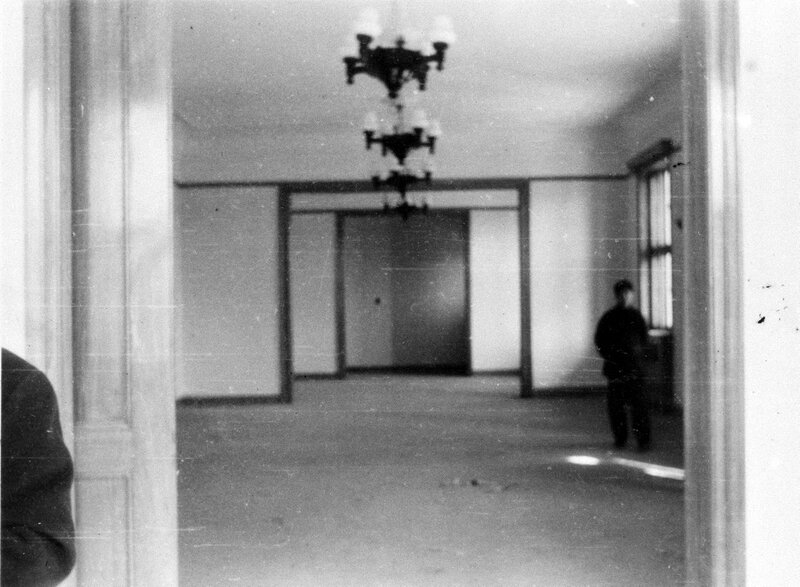 In 1971, the Chinese government said that it would pay for repairing the office building and this work was completed the following year, when the residence building reverted to the sole use of the head of mission. 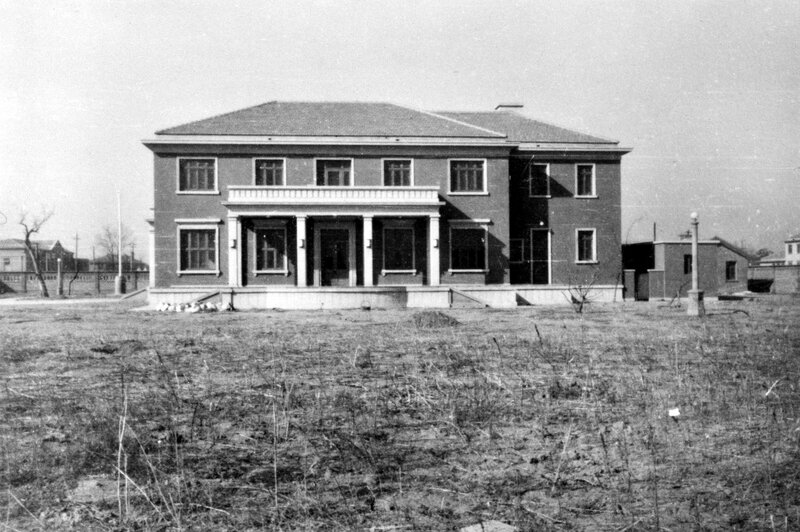 Residence, entrance (south) front, 1959. Offices, entrance (south) front, c 1965.